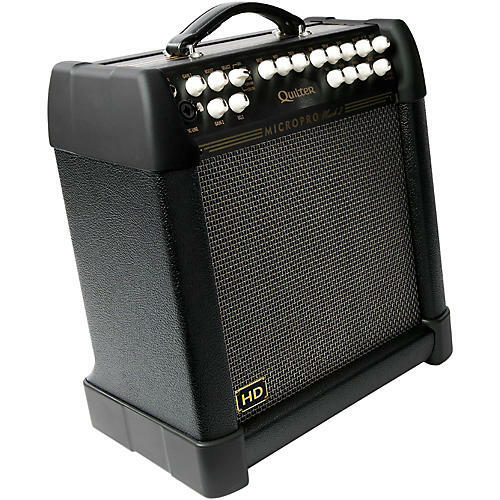 The Quilter 12-inch Mach 2 Heavy Duty combo is the ultimate amp when you need serious power in a small package. Featuring a powerful Neodymium speaker, (Celestion BN12-300s) it sports 300 watts of power handling and a searing clean responsiveness with no speaker breakup or cone cry. A sealed enclosure calibrated to deliver a very balanced and beautiful tone, combined with the powerful and up front characteristics of the speaker are perfect for the jazz player or anyone who loves an EVM-12L type speaker response.